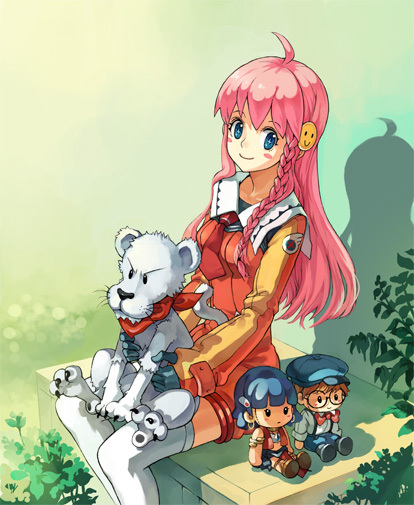 According to this thread at the AnimeonDVD forums, Diebuster has been licensed, with a first volume release in April. The amazing thing about this is that Newtype (the somewhat-mediocre american version) reported this before everyone else. In what kind of universe does a monthly magazine beat the collective might of the internet? Anyways, Diebuster is awesome and it will be great to see it in full DVD quality. The only bad thing is it looks it will be the two-episodes a disk deal instead of all at once like the Gunbuster release. I’ll be waiting for a boxset before I pick this up. Diebuster: Gainax you didn’t fail this time.